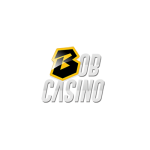 Bob Casino is a fun-centered online gambling establishment with vibrant design and regular promotions. There are over 2,500 games in total powered by a wide range of famous industry providers, with top names including NetEnt, iSoftBet, Yggdrasil, 1×2 Gaming, Microgaming, Pragmatic Play, Play’NGo, Endorphina, BGAMING and Booming Games. The casino was founded in 2017, quickly winning the hearts and minds of its numerous players, including those from New Zealand. Bob Casino is focused on pokies above everything else – which is why they make the majority of all games available at the casino. This is also the reason you will be relying on pokies when wagering any bonuses claimed – as those contribute 100% towards the wagering requirements, while live dealer games contribute nothing, and most of the other games available (such as roulette, baccarat etc) contribute just 5%. Apart from the pokies, the casino also has a live dealer games section with over 70 choices available, from roulette and blackjack to keno and casino Hold’em. New players from New Zealand can count on the same bonuses as other English-speaking visitors – the bonus package can reach $500 + 130 free spins. It’s a good idea to get started with 10 free spins that require no deposit but come with the wagering requirement of x40. Besides the welcome bonus, the casino runs a weekly tournament with €5,000+12,000 free spins as the prize fund. There is a good chance to make it to the top 350 players that get rewarded for active participation. All you need to do to participate is keep playing your favourite pokies, earning special points. All players are also welcome to take advantage of the Friday bonus (a certain percentage of your deposit up to NZ$250 + free spins for a selected slot). The 22-tier VIP program is another way to get more cash and free spins coming your way – and you’ve guessed it, all you need to do is keep playing pokies and earning bonus points to climb up the levels. Bob casino is licensed by the Malta Gaming Authority and uses an extra layer of security to keep the player’s data secure and private, which makes it a safe and reasonable choice for just about anyone. The payment methods available include credit cards – Visa, Mastercard, as well as such systems as Skrill, Neteller, wire transfer (Sofort), Ecopayz, Maestro, Trustly, Cubits, Comepay, Paysafecard, Rapid transfer, Interac online and Neosurf. All deposits are also charged a 2.5% fee, while withdrawals are free and instant, except for the credit cards that may take up to 3 business days to process. Players that need help can contact the customer support service available via live chat and email. Clearly, live chat is the faster option that allows getting in touch with a representative within just a few seconds. It’s available 24/7. Bob Casino is a neat little place that nevertheless offers a whopping selection of games, including live dealer games. All players can also enjoy an abundance of payment methods, regular promotions and generous bonuses with fair wagering requirements. With support agents online all the time and ready to help, this casino seems worthy of your visit on any day. The deposit fee might become quite a disappointment, but this casino comes with plenty of strong points to compensate for that.